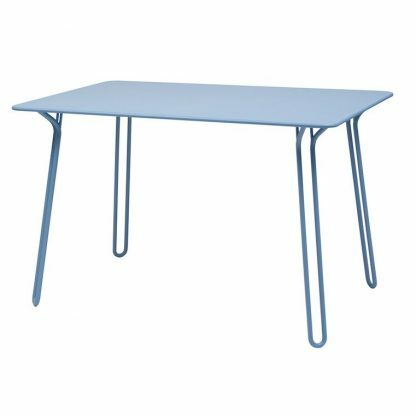 The Surprising table is a small table (120 cm × 77 cm) which is highly attractive, with its designer base inspired by the Surprising chair. 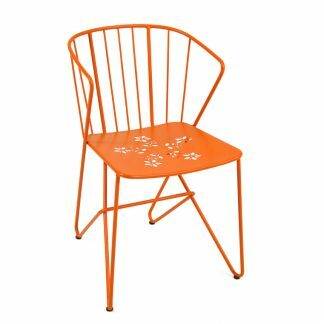 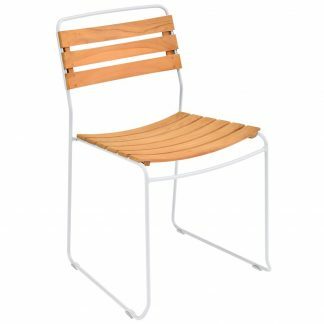 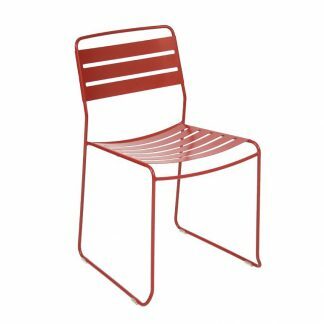 It also makes the perfect accompaniment to the Flower chair, creating an elegant and bold set that takes up minimal space! 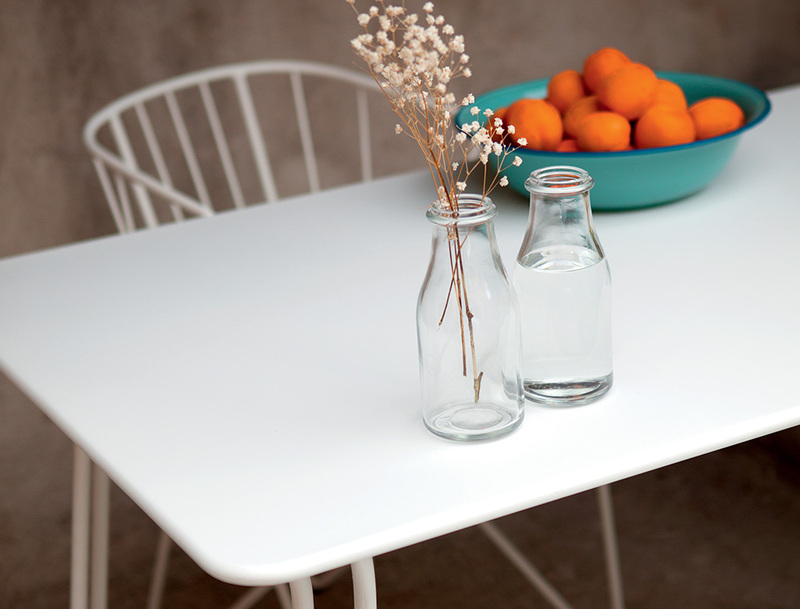 Ultra-modern design for a cosy, refined space. 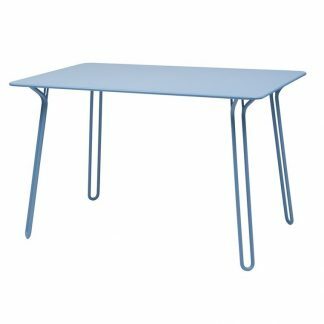 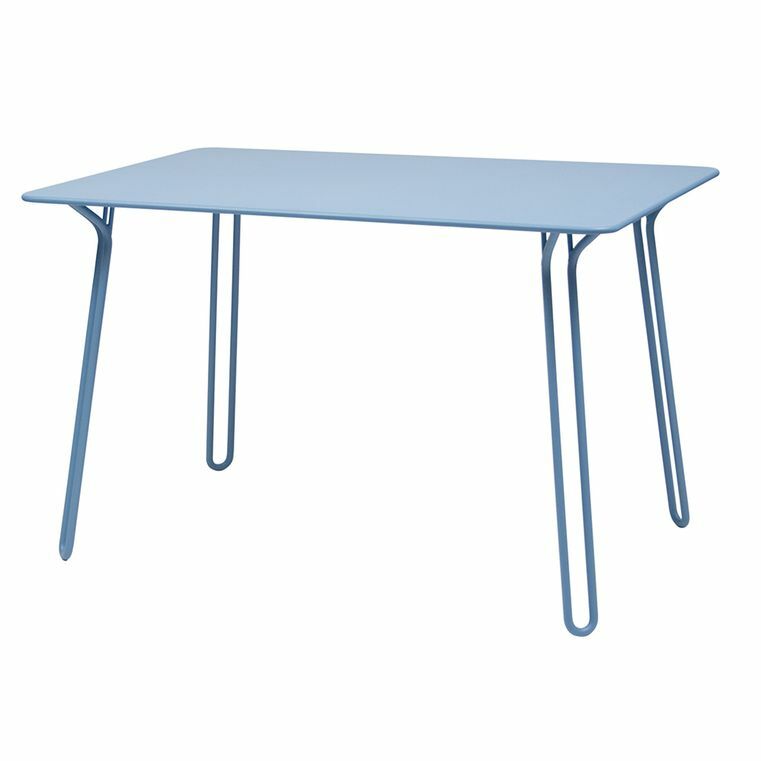 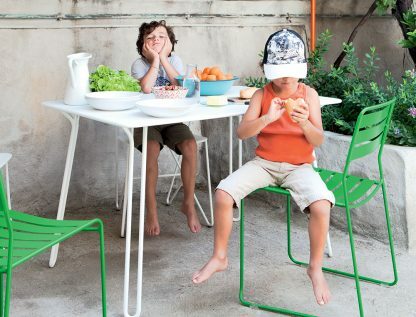 The lightness of the steel legs undeniably brings this table an airy quality. 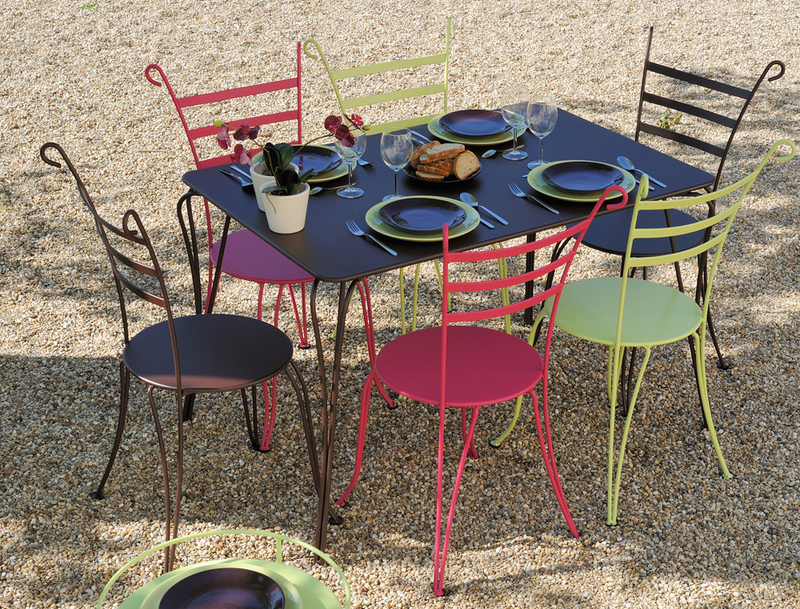 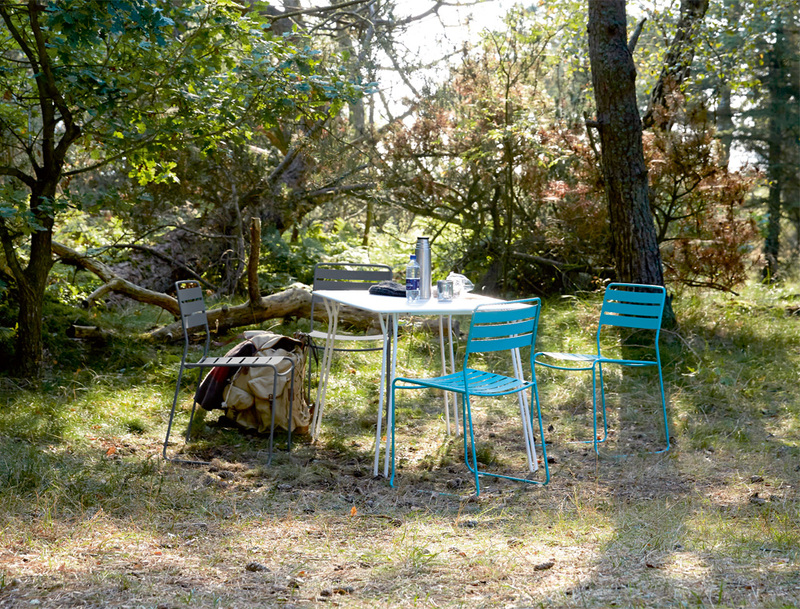 Fermob, with attention to the lines of this table, have made a perfectly complementary table to match the chairs in this range.